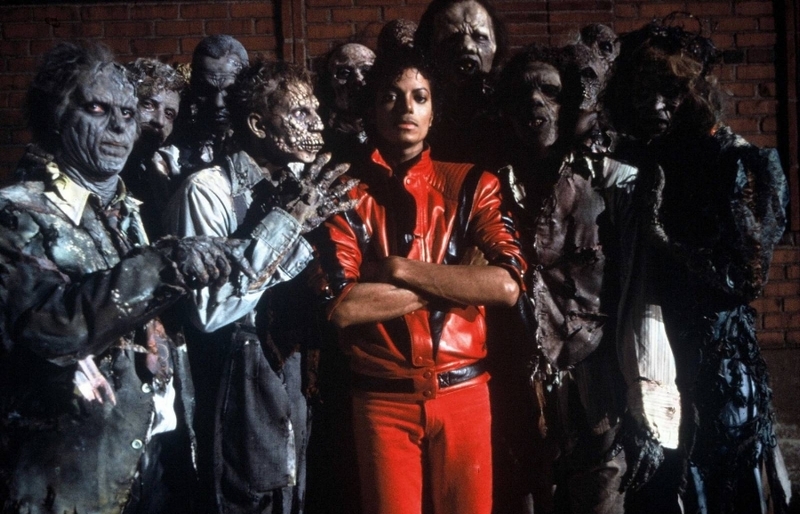 Before watching Making Michael Jackson’s Thriller for the first time, I had never REALLY thought  about meeting  Michael. There’s this scene where fans are lining the streets at 3am on 3600 Union Pacific Avenue, just waiting to get a glimpse of him. They talk about how the location had leaked to the press and they came out in the middle of the night, just in the hopes of seeing their idol. Then Michael looks out and waves. As a  9-year old I was calculating my own “following Michael” plan and figuring out how to get to that street. I knew logically that Michael wouldn’t be there but, in my  elementary school student  brain- it made sense for me to try and go. Not because I had high hopes of meeting him but, because I just wanted to be someplace that he'd also been. I think most fans understand what I mean. Following in Michael's footsteps is especially fun when you're traveling a path that has already been documented. All the information I needed was right in front of me but, it was a dream that took almost 20 years to accomplish. Not long  ago, one of my best friends and I embarked on  a road trip to Los Angeles. 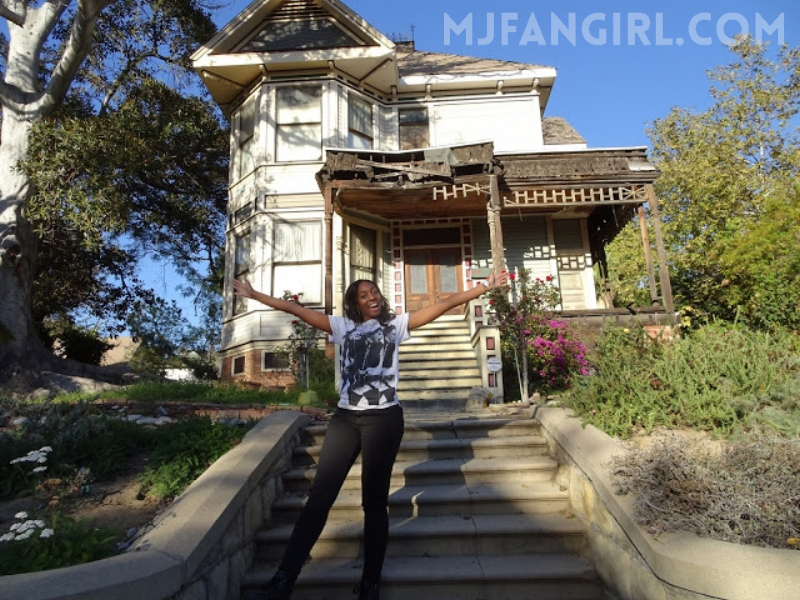 One of our  missions was to visit  many of the locations  where Michael filmed the Thriller short film. And we decided to experience some of our time there as we’d always seen it on the documentary and in the short film…  at nighttime. The house that Ola Ray ran into right after the Thriller dance break is located on a widespread and quiet residential street. Although most of the outside seems to have been refurbished (the windows and outside paneling are a bright white), the awning looked like it hadn’t changed or been updated. 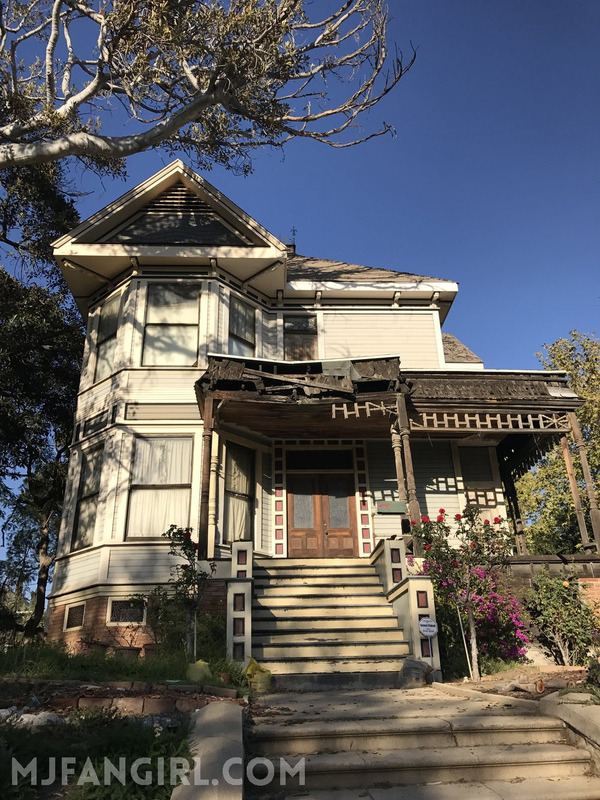 The broken wood in the top front of the home not only gives it a spooky character but, it makes it easy to recognize as the house from Thriller. For someone who had been waiting to get to this spot for 2 decades, I was exceptionally laid back about it. We visited during the afternoon, so my mood was more "Baby Be Mine," "Sunset Driver," and not so much "Thriller". BUT it was a cool experience and I was happy to be there. I’ve heard that it’s under private ownership and that people often go up to the doorway but, I was a little too shy. We spent about 15 minutes there, taking in the surroundings and shooting photographs out front. I ran up the first set of steps, doing my best Ola Ray impersonation before taking this photo. After five hours of being in the car it was good to stretch our legs... but, we were on a mission. We got back into the groove and moved on to the next destination. The Palace Theater, located at 630 S. Broadway is not only famous for being a part of the Thriller short film, it's also the oldest Orpheum theater in the United States. Seating about 1000 and still functioning (mostly for special events), it was a delight to see during the day and even more memorable at night. 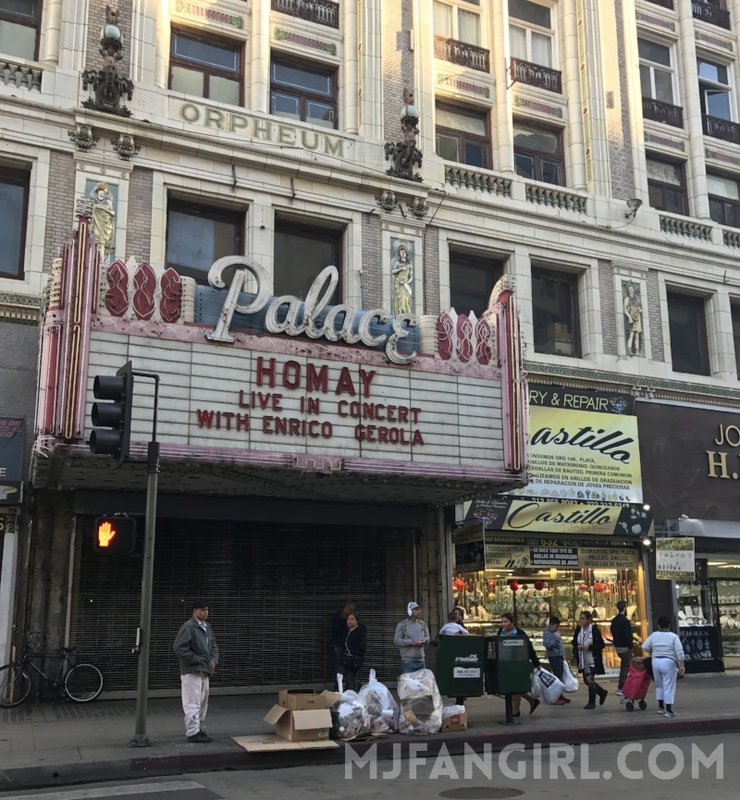 The Palace is in Downtown Los Angeles, in the heart of its Broadway District. But when I think of Broadway, I generally think of bright lights, big video advertisements, and lots of hustle and bustle. But this wasn't Times Square and I wouldn't consider it a tourist spot. We hopped out of the car to take a few photos but, if I had the opportunity again, I would love to have a closer look at the outside. Maybe even do a proper "It's Only A Movie" reenactment. A lot of people who don't have that passion and interest in Michael Jackson's work find it hard to imagine doing something like that. But it's on my bucket list. Before visiting  California, my friend and I had several conversations about what the plans would be; What locations we would prioritize. It made perfect sense to place this as a  must-do but, also  as the last stop of the day. I wanted to see it after dark. I wanted it to be authentic. That day we had taken our time just enjoying California for what it was. Nice weather, chill atmosphere, IN-N-OUT Burger… it was a great time. But once the sun set, we made our way downtown, driving through streets until we found the right intersection. When I got out of the car, I was so giddy and impatient that I sort of surprised myself. I was like a little school kid with this huge grin on my face because I was just SO excited to be there. I’m a native New Yorker and consider myself to be pretty street smart but, I still would not advise anyone to visit this location alone. Or  after dark. 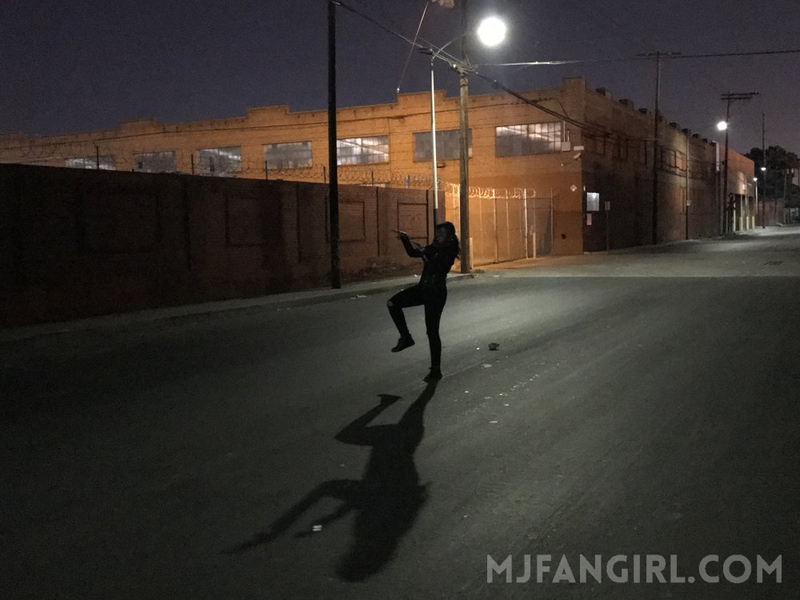 The place where the dance sequence was shot, lies in a secluded and eerily quiet industrial area. 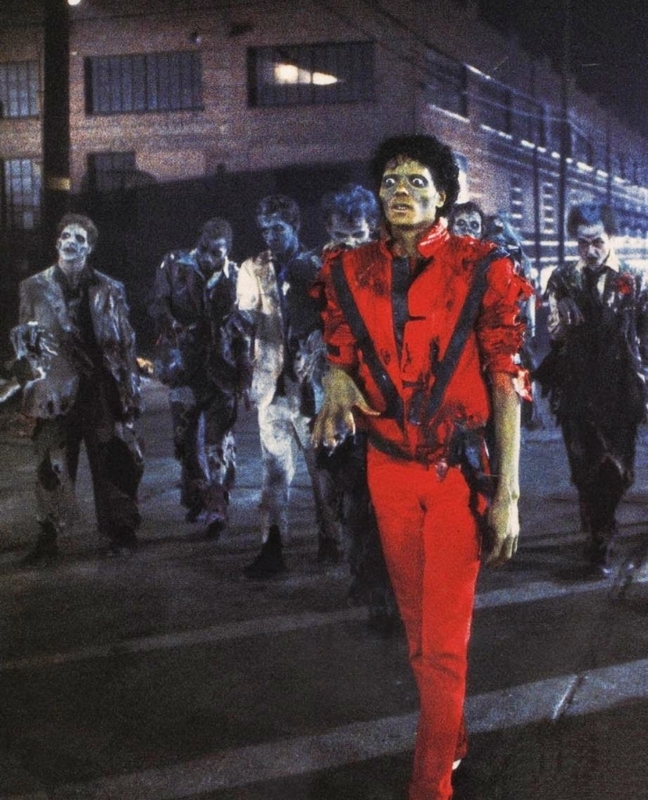 In the “Thriller” video, there are no cars parked, the street is slick, and the location is pretty well lit. But that night… it was pitch black. 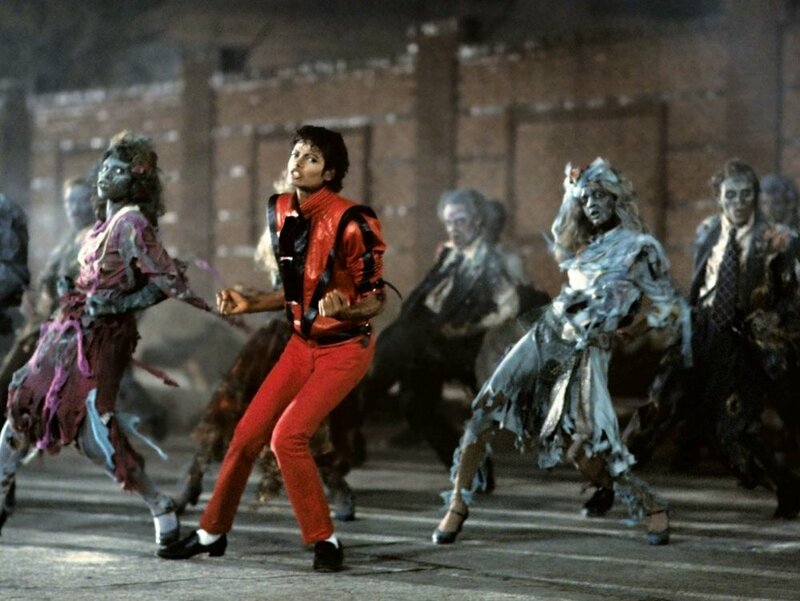 Although we had both seen the Thriller music video hundreds  (dare I say thousands?) of times between the two of us, we still wanted to be 100% sure that we were standing in the right spot. We  cued up the short film on our  smartphones for reference. Luckily sides of buildings  and street post lamps looked the same. The buildings  were  unmarked from what I could tell but,  one of the brick walls facing the street still is marked with 3 outlined rectangles you see here. Sans studio lighting and an incredible dance crew behind me,  I decided to try my luck at doing a signature Thriller pose. Just  being there was surreal for me but, if I had to do it over again, I’d love to go back to all of these locations. I would probably start at dusk, right around when the sun sets. I’d love to really see more of the surroundings and get a feel for the energy of the environment around that time of day. Making the journey through the Thriller short film was a trip I'll remember forever. It can be discouraging sometimes as a Michael Jackson fan, knowing that all of his concerts, events, and new music are now a thing of the past. But for me, these Goin' Places experiences help keep him alive in my heart. I've decided to continue embarking on these journeys through time and discovering places I've never been and places I would've never even dreamed of visiting- if it hadn't been for Michael. And to think... the exploration has just begun.